as an avid home cook, when the publishing house ten speed press gave me a sneak peek of their spring book launches i was immediately most excited about the new cookbooks, with one standing out: aloha kitchen: recipes from hawai'i by alana kysar. a girl after my own heart, alana splits her time between her native island of maui and her home in los angeles. 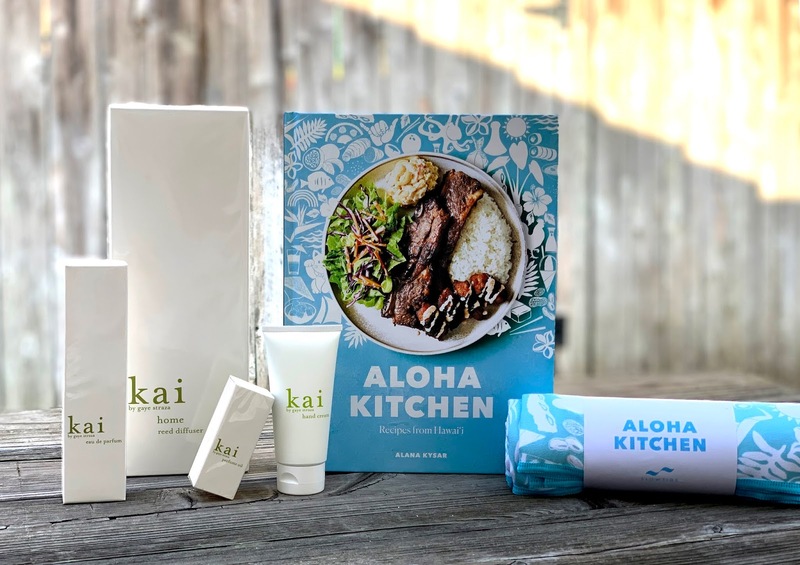 aloha kitchen captures the spirit of hawai'i and its rich culinary heritage through craveable recipes and captivating photography. 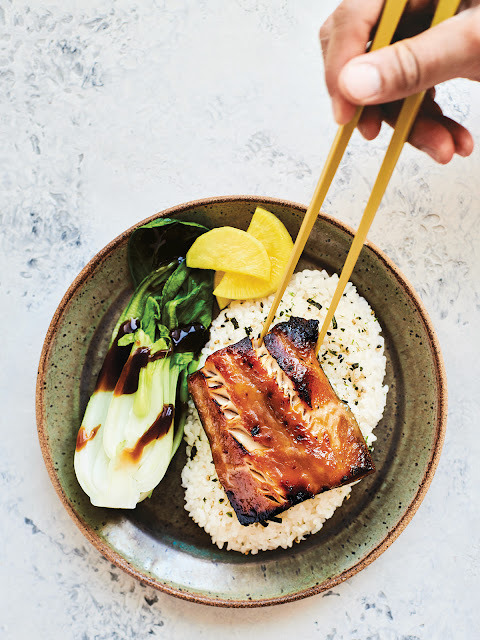 enjoy a preview of the flair you'll find in the book, available everywhere now, as alana shares with us her recipe for easy, delicious ginger misoyaki butterfish. p.s. in celebration of aloha kitchen's debut, we've partnered with alana to give away a copy of the cookbook along with an assortment of kai fragrance products to transport you to the tropics while you whip up some equally vacation-like recipes. follow us on instagram for a chance to win later today! things you learn when you move away from hawai‘i: butterfish is not a type of fish. it refers to a style of preparation, not an actual fish. 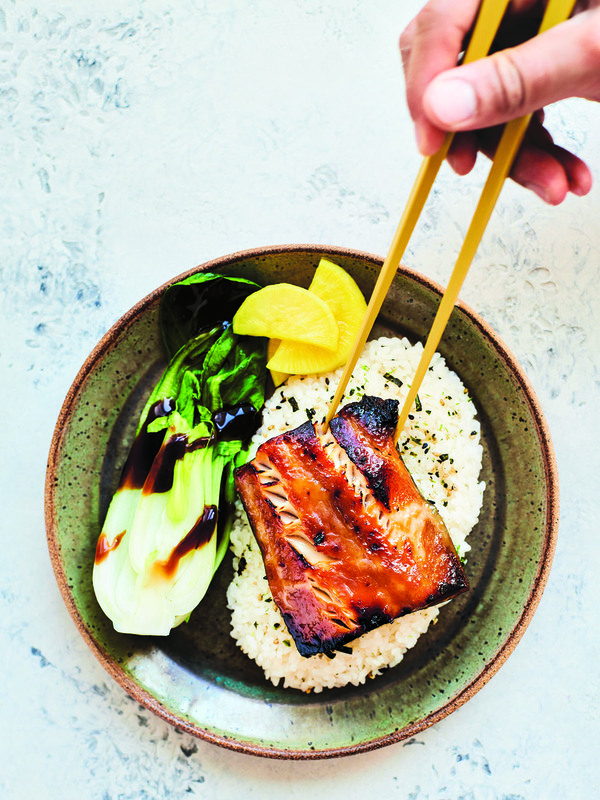 what’s more confusing is that the type of fish typically used in butterfish dishes is often called black cod, but that fish is actually a north pacific sablefish! learn from my mistakes and ask your local fishmonger for north pacific sablefish fillets when preparing this dish. and plan ahead. while most local grocery stores sell marinated butterfish fillets, it takes 2 to 3 days to marinate your own at home. simmer until the mixture has thickened and reduced by a quarter or so, 45 minutes to 1 hour. let cool completely. place the fillets in a gallon-size ziplock bag and pour the cooled sauce over them. seal and transfer the bag to the fridge to marinate for 2 to 3 days, turning the bag every 24 hours. remove the bag from the refrigerator and let it sit at room temperature for 30 minutes. preheat the broiler and raise your oven rack to the top spot; it should be 6 to 8 inches from the coils. line a rimmed baking sheet with aluminum foil, dull side up. wipe off any excess sauce from the top of the fillets and arrange them, skin side down, on the foil-lined baking sheet. broil until the fish flesh is almost opaque, 8 to 10 minutes. broil for a minute or two to caramelize the top of the fish; it’s done when the outer edges start to blacken. serve with steamed rice, furikake, and baby bok choy. thank you, alana! stay tuned for our giveaway later today.